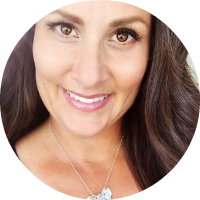 I have another fun little Valentines Gift idea to share with you today! I love coming up with these ideas and practicing my art and drawing skills. I LOVE these EOS Chapsticks don’t you? So I wanted to come up with a creative way to use them for a Valentine’s Day Gift. 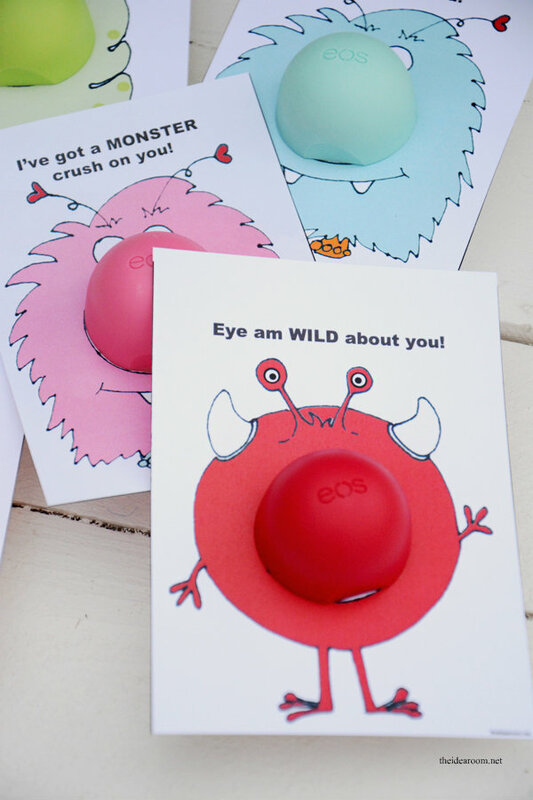 I decided to create some Monster Valentine’s and use the EOS Chapstick as their monster noses! I am really happy with how they turned out! These probably would get pricey if you were planning on doing them for an entire classroom of kids…but I thought they would be fun to give to a few friends, nieces, nephews, a church class of a few people, or your kids if you give them little Valentines! Or just tape a sucker onto the back of the card and have the sucker as the nose! Tootsie pops would work great this way! I love all the fun colors and flavors these EOS lip balms come in. Do you have a favorite flavor? I LOVE the mint and the tangerine! I have to hide mine from my girls or it will disappear even though they have one of their own. These are so easy to make. The colors are a little bit brighter than what you see here on your screen. We have been having warm weather…but the sun is hiding and so it has been difficult to get a good photo! 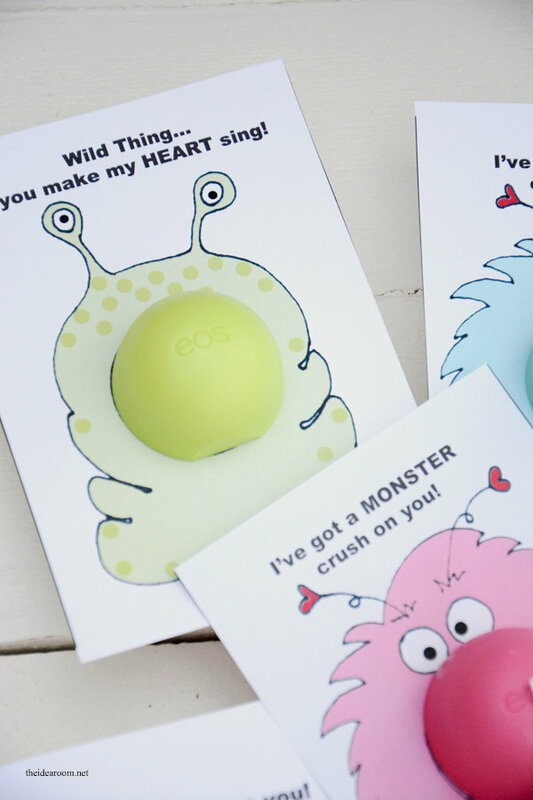 Anyways, all you will need to do is print out the Monster Valentines on some white card stock paper. Cut out the middle circle with some scissors. Take the lid off of the EOS Lip Balm and put the card in between the two halves of the lip balm and then screw them back together. Make sure the little flat part is on the back of the card so that it will sit nicely on the table without wobbling. I have a couple of different color options depending on what color of EOS you end up using. I even made one for the Lemon EOS Lip Balm that is available to download but is not pictured in these photos. I usually get my EOS from Target. 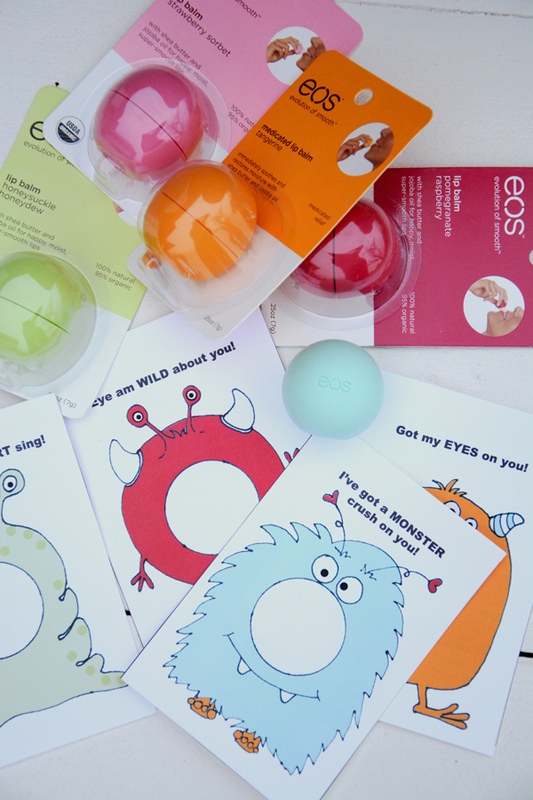 If you are having a hard time finding them, you can purchase them here: EOS Lip Balm. These are adorable and just exactly what we were looking for! My daughter and I wanted to do something like this for valentines, but I am not good with technology and creating at all. If you ever do something with a snowman and the nose can be the tangerine eos, I would love for you to share with me and would appreciate so much. Thanks again for such a cute idea! You are awesome! I love them! Thank you so much! Can’t wait to see my nieces faces when I give them to them! Thank you for the free printables! Adorabs! These are so cute! 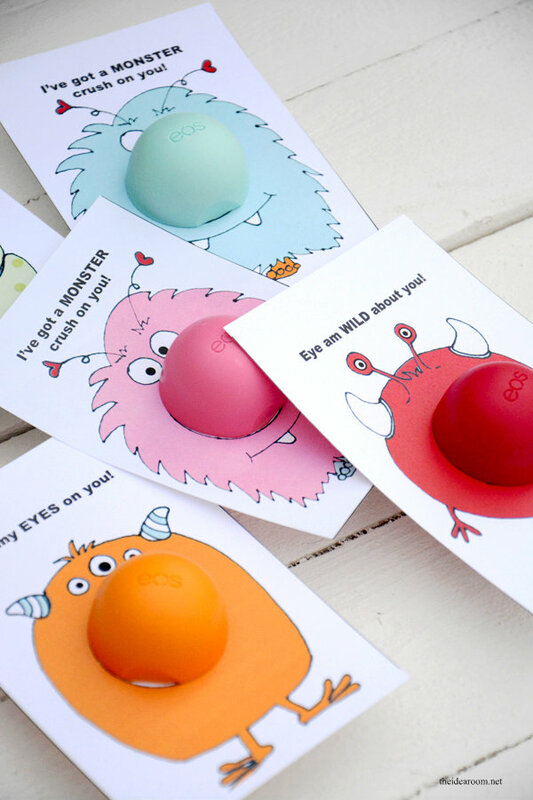 I really don’t love EOS lip balms, but I might need to gift some just because of the monsters. Love it! 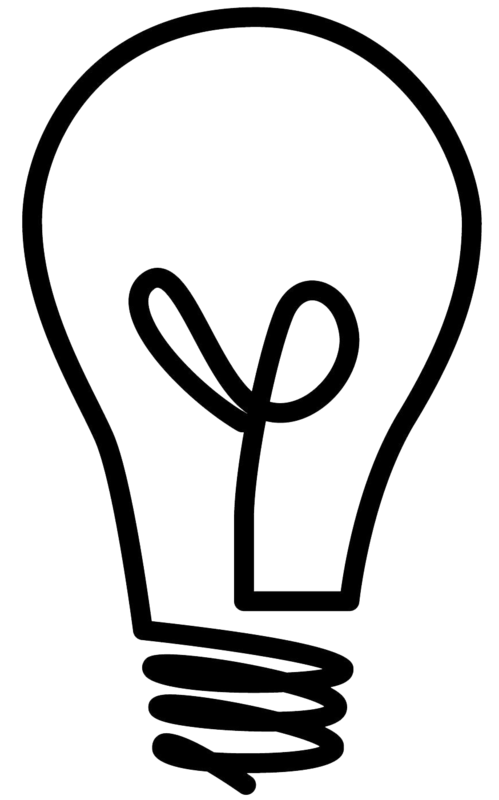 You are fabulous and generous for sharing your ideas and templates. Thank you. These are adorable! These are cute thank you, Ive put a link to them on my blog. 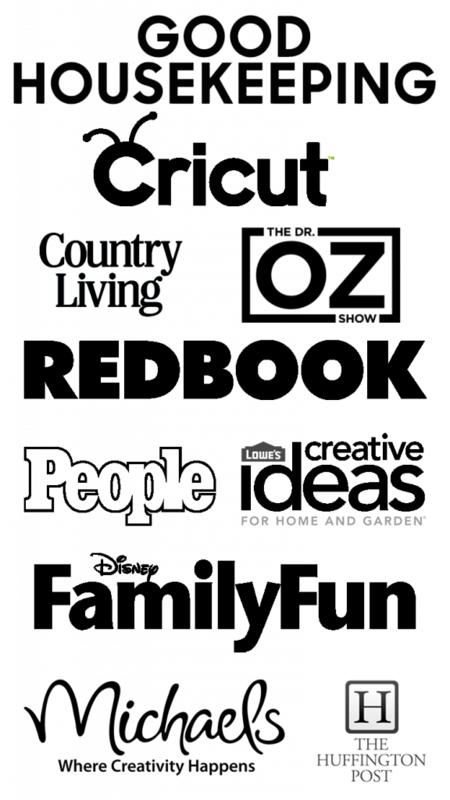 I think they would be a good project for the ScanNCut, to cut the hole in the middle, so have blogged about them today for my followers. Oh my cuteness! I love it Amy! I have a 5th grade girl too and she feels the same way :)! So glad you like them! These are absolutely darling! I’m not familiar with this lip balm so this is doubly good for me! I think I’ll make these and send to my grandchildren who do not live nearby! Thanks!! That is so cute and so original. I need one with yellow for the lemon lip balm though and a dark blue for the blueberry (my two favorites). Very fun ideas, my son loves them! I included this to my Valentine’s Day blog post as well as one of my favorite Valentine’s gift idea. Great post again, thank you! I adore these! I printed them and have them ready for my daughter’s teachers. Thank you so much for these amazing printables!! LOVE LOVE LOVE! a 5-pack at costco is about $10 and there’s a darker blue in one and a purple in one (mine had 2 different pack assortments) no tangerine though, will have to look for that one as i have not tried it. These are adorable! 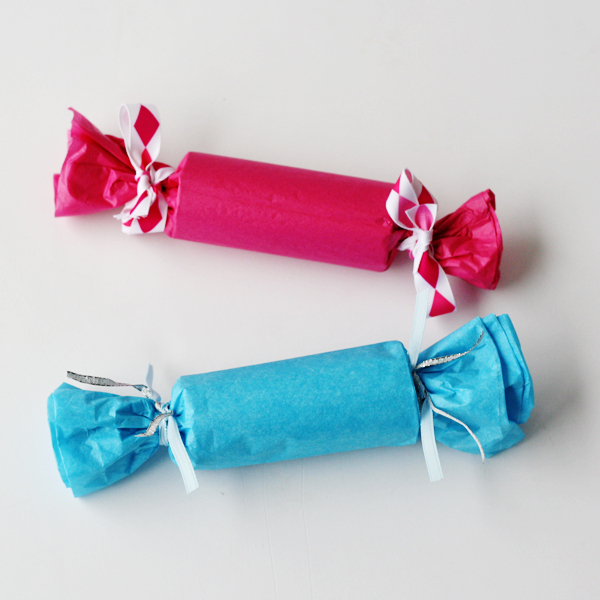 I used these for my son’s preschool teachers and they loved them. I wanted to use them for the kids in his class too, but toddlers don’t need EOS :). I used the really tiny play doh containers instead (the 1oz size that come in the “party pack”). You have to cut the hole slightly bigger. The colors don’t match perfectly, but they still turned out really cute! They look like they have flat piggie noses or big round sucker face lips. I have a picture of them but I’m not sure I can upload it here. I have no way of printing those. Can I pay you to do it. Jeanne- Unfortunately, I don’t print these for others. Hopefully, you can find a friend that has access to a printer. So sorry. My toddler is currently OBSESSED with “Lips” so these will be perfect for her to give all of her little friends! Tiffany- How cute! Glad you found these useful!